We are an independently run Estate Agent in Wolverhampton specialising in all aspects of property sales and lettings. 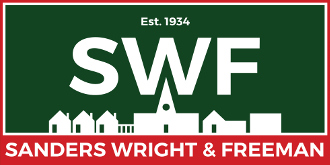 Independently minded we pride ourselves on our expert local knowledge and the fact we are the longest established Wolverhampton Estate Agent. Selling or letting your property involves many important decisions about a hugely valuable asset. It requires a great deal of hard work and organisation so it is important you talk to the right people from the start - we are the people to talk to. We are an experienced team of good listeners and quick thinkers, sympathetic to our clients needs. So whether you are a First Time Seller, Selling up to move to your dream home, need a trustworthy letting agent or have the unenviable task of organising a probate sale, come and talk to us - we can help. Our aim is to offer a professional, personal and reliable experience and to always keep the promises we make! Find out instantly by using our instant valuation tool. No appointments. No telephone call. No fuss. "We just wanted to say a massive "Thank you Very Much" for your patience and advice during a frustrating few weeks. We genuinely appreciate what you did for us and wouldn't hesitate in recommending you to friends. " "Thank you for all your assistance, especially with all the viewings of the house!! You're great. " "Fantastic team! Professional and friendly, nothing was too much trouble for them. From Dave who did the valuation, Jack who organised viewings to Jayne dealing with negotiating and giving regular updates. I had total confidence with using this established estate agency and would highly recommend to others."